United States. 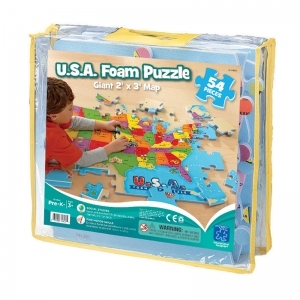 Children can explore America's states, capitals, landmarks, animals, and more with hands-on play as they connect the pieces of this colorful, illustrated map. 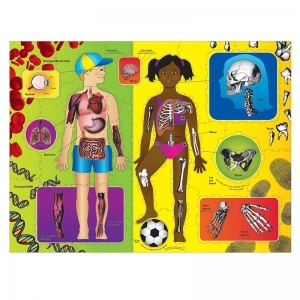 Kids will love playing with these extra-soft foam cutouts. 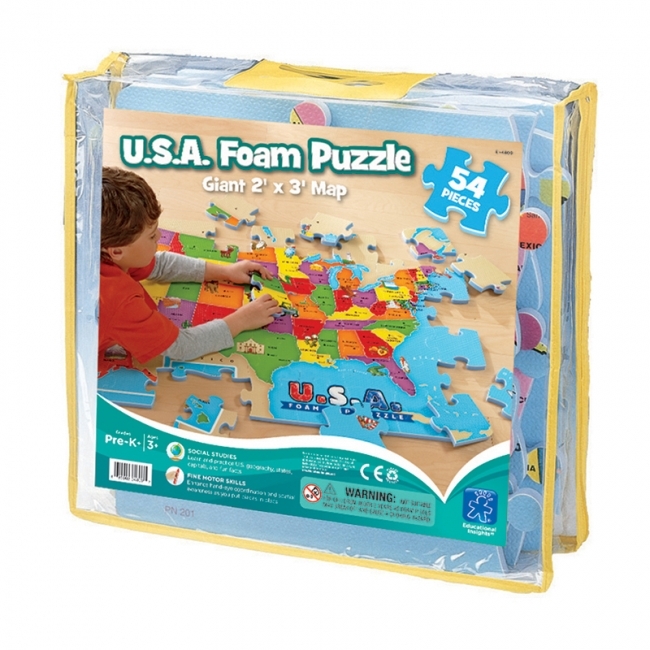 Includes 54 interlocking, water-resistant and easy-to-clean puzzle pieces. 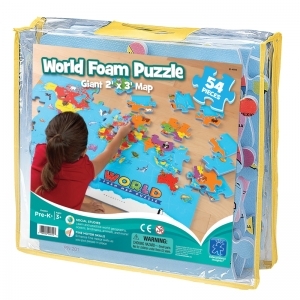 You've got the whole world in your hands with this giant, fun-to-assemble foam puzzle. 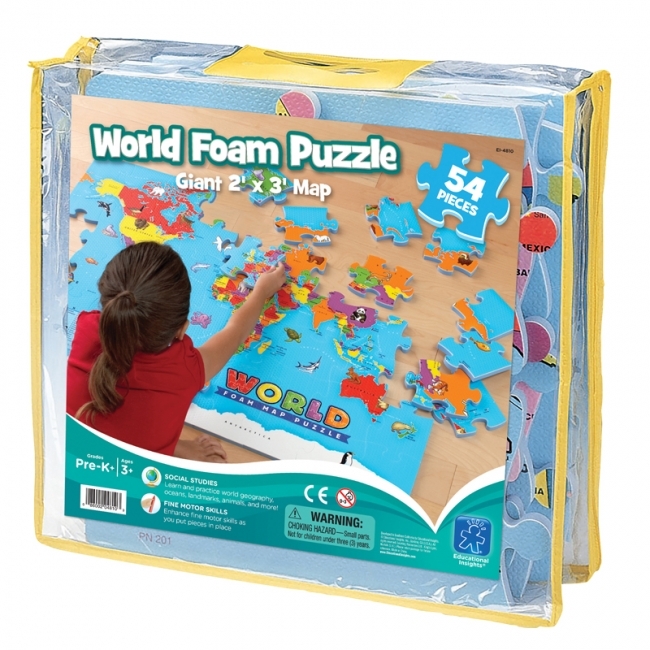 Tour continents and countries all around the world—from Australia to Zimbabwe.